Craig came to Tucson from Toledo, Ohio, where he was a part of an Emmy-winning morning news team at WTOL 11. Before that, he worked in Winston-Salem, NC, and Syracuse, NY, and started his career as a producer at FOX News Channel in New York City. He has anchored, reported, and produced, in both news and sports. He grew up in New York City, so Tucson is similar – in that it's also in the United States. One of Craig's goals is to prove New Yorkers are actually friendly and patient people. He is excited to live in and experience all that Southwest Arizona has to offer. Craig's job at Tucson News Now is to tell the stories behind the headlines, and explain how the news affects people throughout the area. He looks forward to advocating for people whose voices sometimes aren't heard. Four great years of Craig's life were spent in the hills of New Hampshire attending Dartmouth College, and in 2010, he graduated from the University of Massachusetts Business School. Craig loves music, art, and sports. Unfortunately, he is a horrendous musician, a bad artist, and his athletic prime has yet to come along (although he is not ready to give up hope just yet). Please get in touch with Craig through email or Facebook, Instagram and Twitter. 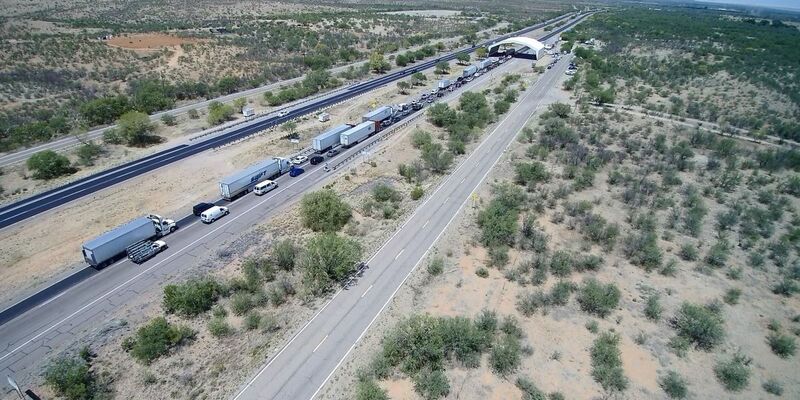 KOLD INVESTIGATES: Are border checkpoints keeping you safe? KOLD Investigates looked into who, and the what, gets stopped at immigration checkpoints in Southern Arizona.